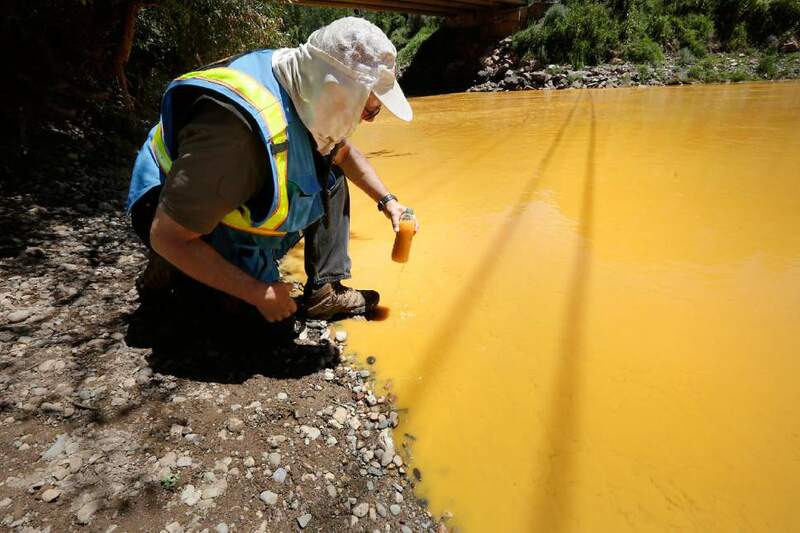 Denver • The Environmental Protection Agency announced Friday it will not repay claims totaling more than $1.2 billion for economic damages from a mine waste spill the agency accidentally triggered in Colorado, saying the law prohibits it. "The agency worked hard to find a way in which it could pay individuals for damages due to the incident, but unfortunately, our hands are tied," EPA spokeswoman Nancy Grantham said. A total of 73 claims were filed, some by farmers who lost crops or had to haul water because rivers polluted by the spill were temporarily unusable for irrigation and livestock. Rafting companies and their employees sought lost income and wages because they couldn&apos;t take visitors on river trips. Some homeowners sought damages because they said their wells were affected. "We had direct revenue losses of $50,000-plus," said Alex Mickel, owner of Mild to Wild Rafting in Durango, Colorado. "That just amazes me that they would do just a complete reversal," he said in an interview. Mickel said he would consult with his attorney on his next move. "It was devastating to both the Navajo Nation and to the farmers," he said. "Even today, people still question if the water is clean enough for farming, livestock or human consumption." "We are outraged at this last-ditch move by the federal government&apos;s lawyers to go back on the EPA&apos;s promise to the people of the state of New Mexico  and especially the Navajo Nation  that it would fully address this environmental disaster that still plagues the people of the Four Corners region." Members of Colorado&apos;s congressional delegation said they would introduce legislation to repay economic damage. "When the law allows the government to hide from those whom it has harmed, the law must change," Colorado Republican Sen. Cory Gardner said. State, federal and tribal officials have been harshly critical of the EPA for causing the spill and for its handling of the aftermath, including the costs. The Navajo Nation and the state of New Mexico have already sued the agency in federal court, and other lawsuits are likely after Friday&apos;s announcement.